Discussion in 'Visual Arts' started by Monosterio, Sep 29, 2018.
bekayne, Tim S, Jazzmonkie and 1 other person like this. Yvonne Craig played 6 different characters on "The Many Loves of Dobie Gillis". She also played 4 different characters on "77 Sunset Strip". George Petrie and Frank Marth from “The Honeymooners” likely hold the single season record. Everything from Captain Video to bank robbers to a cop to a psychiatrist and way more. Gumboo, MLutthans and guy incognito like this. Well, it felt like a dozen. Ha! Tambor appeared on "Three's Company" during its "declining years", so I can see that there might be a negative association there. Not that I think "TC" was ever a good show. I mean, I liked it as a kid, but it makes me cringe now - and that's watching its prime years! Does Sheryl Lee playing both Laura Palmer and Maddy Ferguson in Twin Peaks count? Daniel Plainview, PonceDeLeroy and Jazzmonkie like this. Better "Trek" example: Mark Lenard. Best-known as Spock's dad Sarek, he also played "Romulan Commander" during the "Balance of Terror" episode. Another Star Trek example is William Campbell, who played Trelayne in season one's "The Squire of Gothos" and then played the Klingon Captain Koloth on season two's "The Trouble With Tribbles." Ginger Ale and Jack Lord like this. I believe there are a bunch in 'Columbo' and 'Murder She Wrote'. Patricia Tallman appeared in a number of different minor roles across Star Trek TNG, Voyager and DS9 and was also Dr Beverley Crusher for a brief moment in Star Trek : Generations at the point where Data pushes Dr Crusher overboard from the holodeck Enterprise sailing ship. IMHO Tallman was under-utilised as an actor. Diana Muldaur played two different guest starring roles in Star Trek TOS and was also Dr Pulaski for all of Star Trek TNG series 2. Ted McGuiness played Peg Bundy's alternate husband a couple of years before he became Jefferson Darcy on Married With Children. I saw a repeat of "Mork & Mindy" a couple weeks back which had Jonathan Winters on as a guest star long before he joined the cast as M&M's "son"
I think M*A*S*H had a few actors that played Korean locals, and came back several times as different characters. Mako was on at least 3 times, and Soon-Tek-Oh played a North Korean surgeon, a North Korean soldier who surrendered when the doctors were out in the woods on the bus, another North Korean soldier who surrendered to Hawkeye & BJ after they crashed their jeep, and a south Korean who went to the US as part of a PR campaign. And probably others. There was also an actor who played a part as a soldier in an early episode and came back later as Col. Potter's son-in-law. Man, I'm not sure how that one slipped by me—maybe the accent in “The Girlfriend.” Good one! Campbell also has played "Paul McCartney" since 1966 as a replacement for the dead Beatle. RIP real Paul - 1942-66! 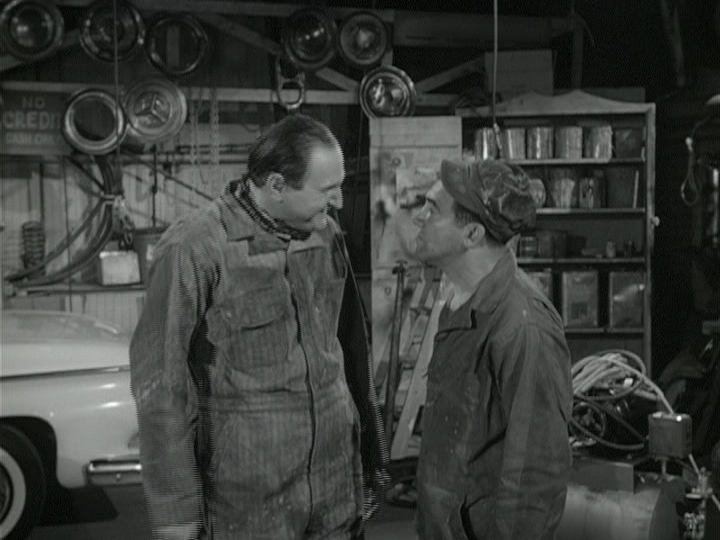 Al Lewis appeared twice in early episodes of Car 54 Where Are You before becoming a regular in the form of our beloved Leo Schauzer. ianuaditis and bekayne like this. Dennis Franz appeared on Hill Street Blues first playing an out of control cop and then he came back as a regular character called Bunz. Allan Melvin played no less than 8 (!) different characters in 8 different episodes of the Andy Griffith Show. Well Gallllll-lee, that's Sgt. Hacker! My old show- the original Hawaii Five-O- had an array of actors who played different characters. Lots of people fr the original Law and Order series. One episode a guy could be a homeless dude and in another episode he could be a judge. ohnothimagen and Jack Lord like this. Kelli Giddish played a character called Kara Bawson on Law And Order SVU before being hired as series regular Amanda Rollins. On Barney Miller, Steve Landesberg was in an episode playing the role of a criminal before he was cast as Dietrich. wayne66 and Doug_B like this. On Star Trek: The Next Generation, James Sloyan played a Romulan Admiral and also a Klingon. He also had roles on Deep Space Nine and Voyager. Note: The above list generally features the significant characters that the actors have portrayed in the series. In many cases, there are many more roles for each individual. As an example, per the above mentioned website, Cathy Weseluck (Spike on My Little Pony - Friendship Is Magic) has 30 other voice acting credits on the series). Paul Lynde's first appearance on Bewitched was as a driving instructor for Samantha. Of course he subsequently became Samantha's uncle Arthur. Paul Lynde played three roles on I Dream of Jeannie, but none were recurring characters.